This paper presents a study on the modeling of a STAT-COM (Static Synchronous Compensator) used for reactive power compensation on a distribution network. The power circuits of the D-STATCOM and the distribution network are modeled by specific blocks from the Power System Blockset while the control system is modeled by Simulink blocks. 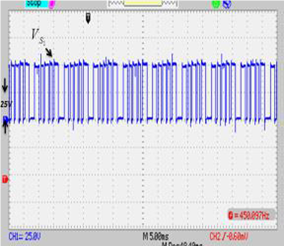 Static and dynamic performance of a E3 Mvar D-STATCOM on a 25-kV network is evaluated. 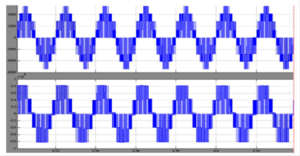 An “average modeling” approach is proposed to simplify the PWM inverter operation and to accelerate the simulation for control parameters adjusting purpose. Simulation performance obtained with both modeling approaches are presented and compared. Fig. 2 Waveforms illustrating the D-STATCOM dynamic performance. Fig. 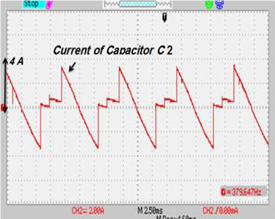 3 Voltage and current waveforms during the change from inductive to capacitive operation at t = 0.2 s.
Fig. 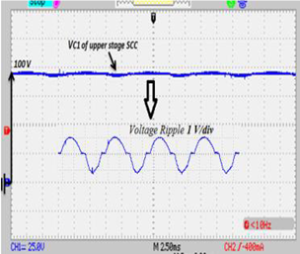 4 Comparison between responses of detailed and average models for a step change in the network internal voltage. 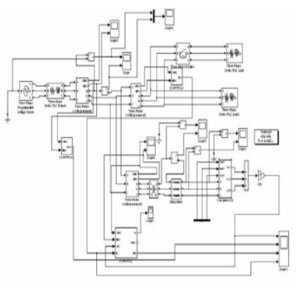 A detailed model of a D-STATCOM has been developed for use in Simulink environment with the Power System Blockset. Models of both power circuit and control system have been implemented in the same Simulink diagram allowing smooth simulation. Two modeling approaches (device and average modeling) have been presented and applied to the case of a +3Mvar D-STATCOM connected to a 25-kV distribution network. The obtained simulation results have demonstrated the validity of the developed models. Average modeling allows a faster simulation which is well suited to controller tuning purposes. K.K. Sen, “STATCOM: Theory, Modeling, Applications,” in IEEE PES 1999 Winter Meeting Proceedings, pp. 11 77- 1183. Flexible AC Transmission Systems (FACTS), edited by Y.H. Song and A.T. Johns, The Institution of Electrical Engineers, London, UK, 1999. K.V. Patil, et al., “Application of STATCOM for Damping Torsional Oscillations in Series Compensated AC Systems,” IEEE Trans. on Energy Conversion, Vol. 13, No. 3,Sept. 1998, pp.237-243. C.D. 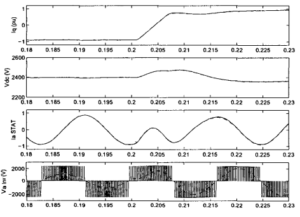 Schauder, H. Mehta, “Vector Analysis and Control of Advanced Static VAR Compensators,” IEE Proceedings- [SI Power System Blockset For Use with Sirnulink, User’s Guide, The MathWorks Inc., 2000. C, Vol. 140, NO. 4, July 1993, pp. 299-306. 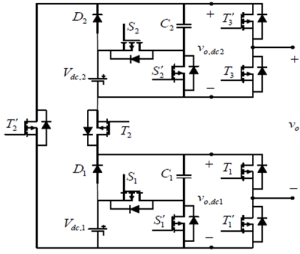 This paper presents a hybrid-type full-bridge dc/dc converter with high efficiency. Using a hybrid control scheme with a simple circuit structure, the proposed dc/dc converter has a hybrid operation mode. Under a normal input range, the proposed converter operates as a phase-shift full-bridge series-resonant converter that provides high efficiency by applying soft switching on all switches and rectifier diodes and reducing conduction losses. 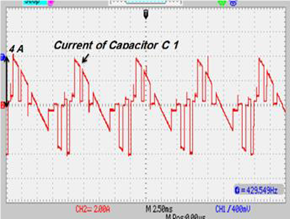 When the input is lower than the normal input range, the converter operates as an active-clamp step-up converter that enhances an operation range. Due to the hybrid operation, the proposed converter operates with larger phase-shift value than the conventional converters under the normal input range. Thus, the proposed converter is capable of being designed to give high power conversion efficiency and its operation range is extended. A 1-kW prototype is implemented to confirm the theoretical analysis and validity of the proposed converter. Fig. 1. Circuit diagram of the proposed hybrid-type full-bridge dc/dc converter. Fig. 2. 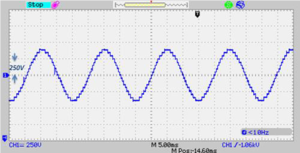 Experimental waveforms for the gate signals and output voltage according to the operation mode. 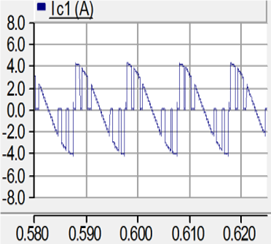 (a) PSFB series-resonant converter mode when Vd = 350 V. (b) Active-clamp step-up converter when Vd = 250 V.
.Fig. 4. Experimental waveforms for the current stress when Vd = 350 V. (a) Conventional PSFB series-resonant converter. (b) Proposed converter. Fig. 5. 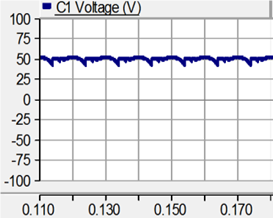 Experimental waveforms for the input voltage Vd and output voltage Vo in the transition-state. The novel hybrid-type full-bridge dc/dc converter with high efficiency has been introduced and verified by the analysis and experimental results. By using the hybrid control scheme with the simple circuit structure, the proposed converter has both the step-down and step-up functions, which ensure to cover the wide input range. Under the normal input range, the proposed converter achieves high efficiency by providing soft switching technique to all the switches and rectifier diodes, and reducing the current stress. When the input is lower than the normal input range, the proposed converter provides the step-up function by using the active-clamp circuit and voltage doubler, which extends the operation range. To confirm the validity of the proposed converter, 1 kW prototype was built and tested. Under the normal input range, the conversion efficiency is over 96% at full-load condition, and the input range from 250 to 350 V is guaranteed. Thus, the proposed converter has many advantages such as high efficiency and wide input range. J. 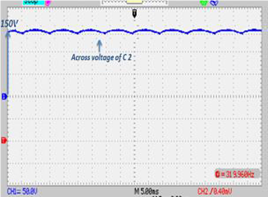 A. Sabat´e, V. Vlatkovic, R. B. Ridley, F. C. Lee, and B. H. Cho, “Design considerations for high-voltage high-power full-bridge zero-voltage switching PWM converter,” in Proc. Appl. Power Electron. Conf., 1990, pp. 275–284. 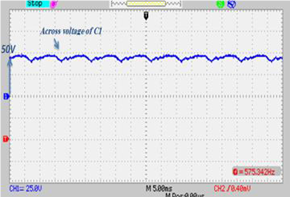 I. O. Lee and G. W. Moon, “Phase-shifted PWM converter with a wide ZVS range and reduced circulating current,” IEEE Trans. Power Electron., vol. 28, no. 2, pp. 908–919, Feb. 2013. 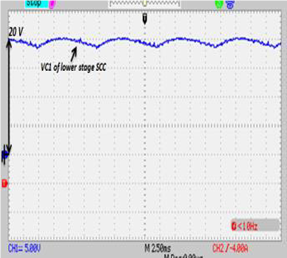 Y. S. Shin, S. S. Hong, D. J. Kim, D. S. Oh, and S. K. Han, “A new changeable full bridge dc/dc converter for wide input voltage range,” in Proc. 8th Int. Conf. Power Electron. ECCE Asia, May 2011, pp. 2328–2335. P. K. Jain, W., Kang, H. Soin, and Y. Xi, “Analysis and design considerations of a load and line independent zero voltage switching full bridge dc/dc converter topology,” IEEE Trans. Power Electron., vol. 17, no. 5, pp. 649–657, Sep. 2002. I. O. Lee and G. W. Moon, “Soft-switching DC/DC converter with a full ZVS range and reduced output filter for high-voltage application,” IEEE Trans. Power Electron., vol. 28, no. 1, pp. 112–122, Jan. 2013. This paper proposes a hybrid static synchronous compensator (hybrid-STATCOM) in a three-phase power transmission system that has a wide compensation range and low DC-link voltage. Because of these prominent characteristics, the system costs can be greatly reduced. In this paper, the circuit configuration of hybrid-STATCOM is introduced first. Its V-I characteristic is then analyzed, discussed, and compared with traditional STATCOM and capacitive-coupled STATCOM (C-STATCOM). The system parameter design is then proposed on the basis of consideration of the reactive power compensation range and avoidance of the potential resonance problem. After that, a control strategy for hybrid-STATCOM is proposed to allow operation under different voltage and current conditions, such as unbalanced current, voltage dip, and voltage fault. Finally, simulation and experimental results are provided to verify the wide compensation range and low DC-link voltage characteristics and the good dynamic performance of the proposed hybrid-STATCOM. Fig. 1. Circuit configuration of the hybrid-STATCOM. Fig. 2. Dynamic compensation waveforms of load voltage, source current, and load and source reactive powers by applying hybrid-STATCOM under different loadings cases. Fig. 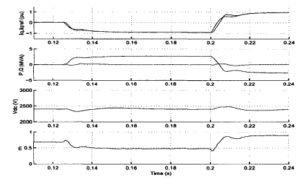 3 Dynamic compensation waveforms of vx and isx by applying hybrid-STATCOM under (a) inductive load, (b) capacitive load and (c) changing from capacitive load to inductive load. Fig. 4. 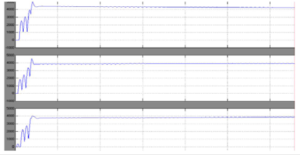 Dynamic compensation waveforms of vx and isx by applying hybrid-STATCOM under unbalanced loads. Fig. 5. Dynamic compensation waveforms of vx and isx by applying hybrid-STATCOM under voltage fault condition. Fig. 6. Dynamic compensation waveforms of vx and isx by applying hybrid-STATCOM during voltage dip. In this paper, a hybrid-STATCOM in three-phase power system is proposed and discussed as a cost-effective reactive power compensator for medium voltage level application. The system configuration and V-I characteristic of the hybrid-STATCOM are analyzed, discussed, and compared with traditional STATCOM and C-STATCOM. In addition, its parameter design method is proposed on the basis of consideration of the reactive power compensation range and prevention of a potential resonance problem. Moreover, the control strategy of the hybrid-STATCOM is developed under different voltage and current conditions. Finally, the wide compensation range and low DC-link voltage characteristics with good dynamic performance of the hybrid-STATCOM are proved by both simulation and experimental results. J. Dixon, L. Moran, J. Rodriguez, and R. Domke, “Reactive power compensation technologies: State-of-the-art review,” Proc. IEEE, vol. 93, no. 12, pp. 2144–2164, Dec. 2005. L. Gyugyi, R. A. Otto, and T. H. Putman, “Principles and applications of static thyristor-controlled shunt compensators,” IEEE Trans. Power App. Syst., vol. PAS-97, no. 5, pp. 1935–1945, Sep./Oct. 1978. F. Z. Peng and J. S. Lai, “Generalized instantaneous reactive power theory for three-phase power systems,” IEEE Trans. Instrum. Meas., vol. 45, no. 1, pp. 293–297, Feb. 1996. L. K. Haw, M. S. Dahidah, and H. A. F. Almurib, “A new reactive current reference algorithm for the STATCOM system based on cascaded multilevel inverters,” IEEE Trans. Power Electron., vol. 30, no. 7, pp. 3577–3588, Jul. 2015. Sliding mode control (SMC) is recognized as robust controller with a high stability in a wide range of operating conditions, although it suffers from chattering problem. In addition, it cannot be directly applied to multi switches power converters. 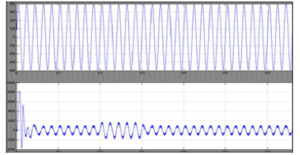 In this paper, a high performance and fixed switching frequency sliding mode controller is proposed for a single-phase unipolar inverter. 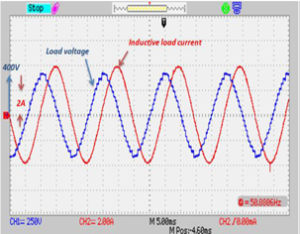 The chattering problem of SMC is eliminated by smoothing the control law in a narrow boundary layer, and a pulse width modulator produces the fixed frequency switching law for the inverter. The smoothing procedure is based on limitation of pulse width modulator. Although the smoothed control law limits the performance of SMC, regulation and dynamic response of the inverter output voltage are in an acceptable superior range. 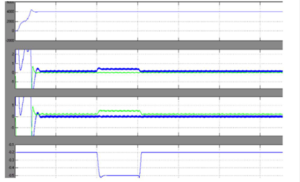 The performance of the proposed controller is verified by both simulation and experiments on a prototype 6-kVA inverter. The experimental results show that the total harmonic distortion of the output voltage is less than 1.1% and 1.7% at maximum linear and nonlinear load, respectively. Furthermore, the output dynamic performance of the inverter strictly conforms the standard IEC62040-3. Moreover, the measured efficiency of the inverter in the worst condition is better than 95.5%. Fig. 1. 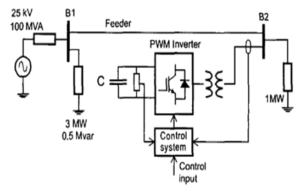 Proposed controller for single-phase inverters with a resonator in voltage loop. Fig. 2. Simulation result. 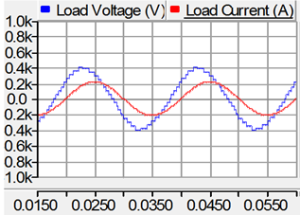 a) Output voltage and current at 6-kW linear load. 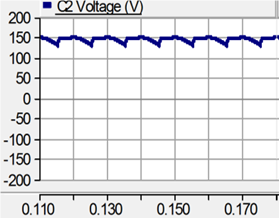 b) Output voltage and current at 6-kVA nonlinear load with CF = 2.75 and PF = +0.7. step load from 100% to zero. Fig. 5. 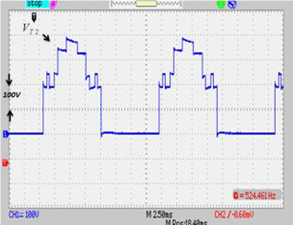 Experimental result: efficiency of inverter versus output power. 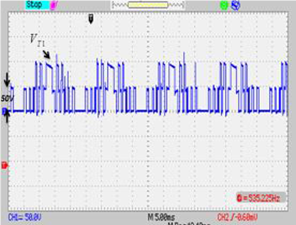 In this paper, a fixed frequency SMC was presented for a single-phase inverter. The performance of the proposed controller has been demonstrated by a 6-kVA prototype. Experimental results show that the inverter is categorized in class1 of the IEC64020-3 standard for output dynamic performance. The inverter efficiency was measured up to 95.5% in the worst case. 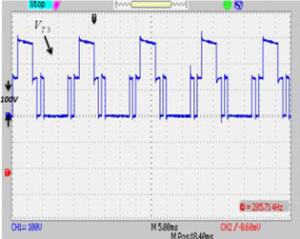 Since the direct SMC cannot be applied to four switches unipolar inverter and it also suffers from the chattering problem, a PWM is employed to generate a fixed frequency switching law. 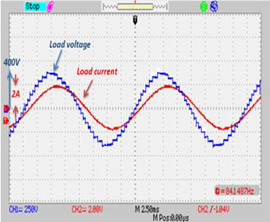 The PWM modulates the smoothed discontinuous control law which is produced by SMC. 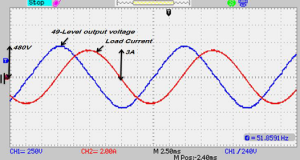 To smooth the control law, the limitation of the PWM was considered. 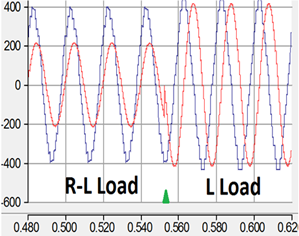 The simulation and experimental results show that the load regulation is about 1% at the steady state as well. But, to obtain better regulation, a resonance compensator was added in the voltage loop. With this compensator, the load regulation was measured which has been below 0.2%. G. Venkataramanan and D.M. 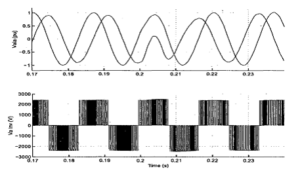 Divan, “Discrete time integral sliding mode control for discrete pulse modulated converters,” in Proc. 21st Annu. 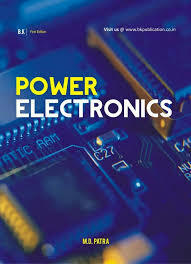 IEEE Power Electron. Spec. Conf., San Antonio, TX, 1990, pp. 67–73. J.Y.Hung,W. Gao, and J. C.Hung, “Variable structure control:Asurvey,” IEEE Trans. Ind. Electron., vol. 40, no. 1, pp. 2–22, Feb. 1993. E. Fossas and A. Ras, “Second order sliding mode control of a buck converter,” in Proc. 41st IEEE Conf. Decision Control, 2002, pp. 346– 347. C. Rech, H. Pinheiro, H. A. Gr¨undling, H. L. Hey, and J. R. Pinheiro, “A modified discrete control law for UPS applications,” IEEE Trans. Power Electron., vol. 18, no. 5, pp. 1138–1145, Sep. 2003. 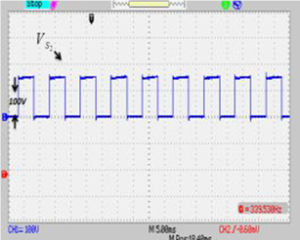 K. S. Low, K. L. Zhou, and D.W.Wang, “Digital odd harmonic repetitive control of a single- phase PWM inverter,” in Proc. 30th Annu. Conf. IEEE Ind. Electron. Soc., Busan, Korea, Nov. 2–6, 2004, pp. 6–11.